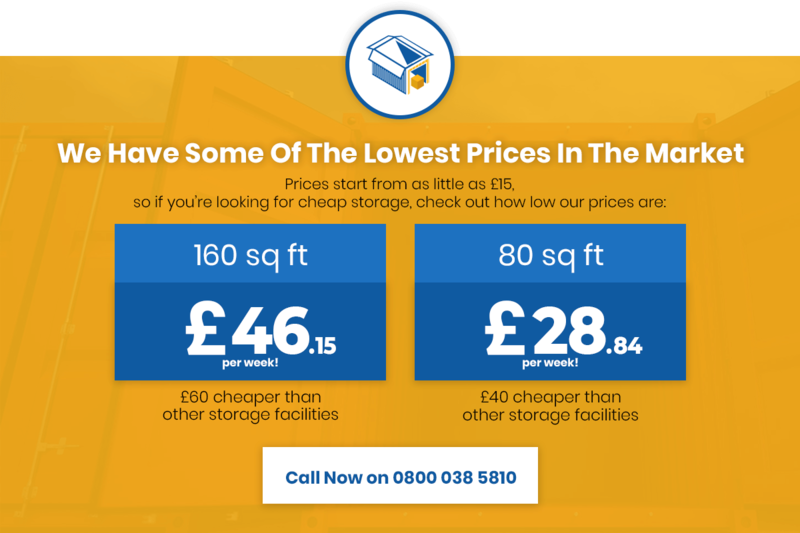 Looking for the highest-quality storage in Sussex for the lowest possible prices? You’ve come to the right place! We’re proud to offer the market’s most extensive range of short and long-term container storage solutions for Surrey and the South East – all for at least 30% less than the local average price! We went into business to provide the people of London and the South East with a new approach to intelligent storage. Having noted a gap in the market for simple, affordable and accessible storage units in Sussex, we jumped at the chance to fill it. All over the UK, domestic and business customers alike are finding themselves with increasingly less space to work with. It’s not as if anyone can just snap their fingers and pull the space they need out of thin air – hence our company offering the next best thing! Whatever you needs to store and regardless of the duration, we can help. We offer a comprehensive range of Sussex container storage solutions of all shapes and sizes, covering the needs of domestic and business customers alike. From domestic self-storage in Crawley to business storage units in Sussex, we cover it all from our state-of-the-art facility. Whether looking to store a handful of household items for a few weeks or the contents of your entire business for several years, we’ve got the Sussex container storage solutions you need and prices that won’t be beaten. Rather than sticking with off-the-shelf storage products, we prefer to offer tailored caravan storage in Sussex for each of our customers. Our Sussex car, caravan, RV, camper, boat, trailer, motorbike and lorry storage services are fully customisable, while all agreements are fully flexible and scalable. If your Sussex storage needs change along the way, our services are flexible enough to accommodate. Along with our comprehensive range of storage units and vehicle storage plots at our facility, we’re also proud to offer container rentals for a variety of purposes. From shipping container storage units to office cabins to welfare units and more, you’ll find everything you need to get the job done right here. Our conveniently located site is protected by 24/7 CCTV for total peace of mind, plus our Sussex caravan storage area is continually checked and verified by us personally to guarantee ideal storage conditions. If you’re out for the total package of premium caravan storage in Sussex and unbeatable value for money, you’ve found it! For more information on self-storage in Sussex or to discuss your needs, get in touch with our customer care team today. Or for a closer look at how we do business, pop into our facility for a tour.